In 2002, when Israel began putting up fences and constructing walls, it was the height of the second Palestinian uprising, and Israel’s then Prime Minister, Ariel Sharon, was opposed to a border, but eventually succumbed to pressure from the public. As planning of the barrier began, it was clear how political it would become, as Palestinians, who routinely refer to it as a “racist separation” or “apartheid” wall, were trapped in enclaves between the wall and Israel, causing international criticism, and humanitarian crisis. The International Court of Justice issued an advisory opinion in 2004, “that Israel’s building of a barrier in the occupied Palestinian territory is illegal and said construction must stop immediately and Israel should make reparations for any damage caused,” said the United Nations. Some areas of the barrier were never completed. President Trump’s proposed border wall between Mexico and the US is a campaign promise that goes back to June 2016- one of his only promises- and seemingly the most unattainable. It has caused a 35 day partial government shutdown, and exacerbated divides between Democrats and Republicans. 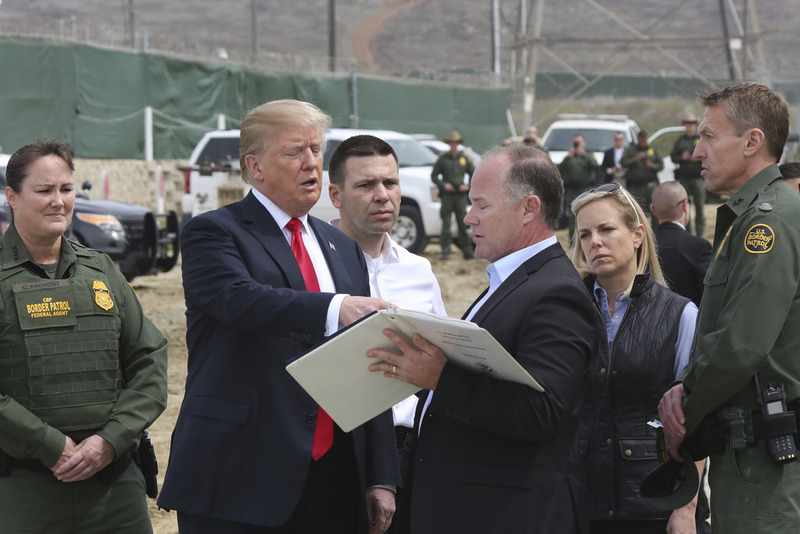 Now, after the declaration on February 15 to bypass Congress and use his emergency powers after it refused to approve $5.7 billion for the wall, Trump is being sued by 16 states, led by California. The suit, California et al. v. Trump et al., was filed in Federal District Court in San Francisco, and argues that Congress controls spending so the president does not have the power to divert funds. Colorado, Connecticut, Delaware, Hawaii, Illinois, Maine, Maryland, Michigan, Minnesota, Nevada, New Jersey, New Mexico, Oregon, and Virginia have all joined New York and California. 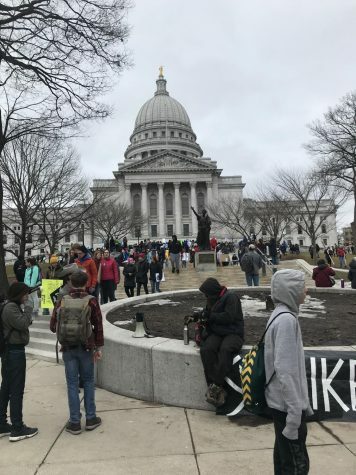 Wisconsin Governor Tony Evers said it’s possible Wisconsin could join that list too. Border landowners, the American Civil Liberties Union, and a coalition of environmental organizations have filed other suits. President Trump recently used Israel’s barrier as a model for the wall he hopes to make between Mexico and the United States.